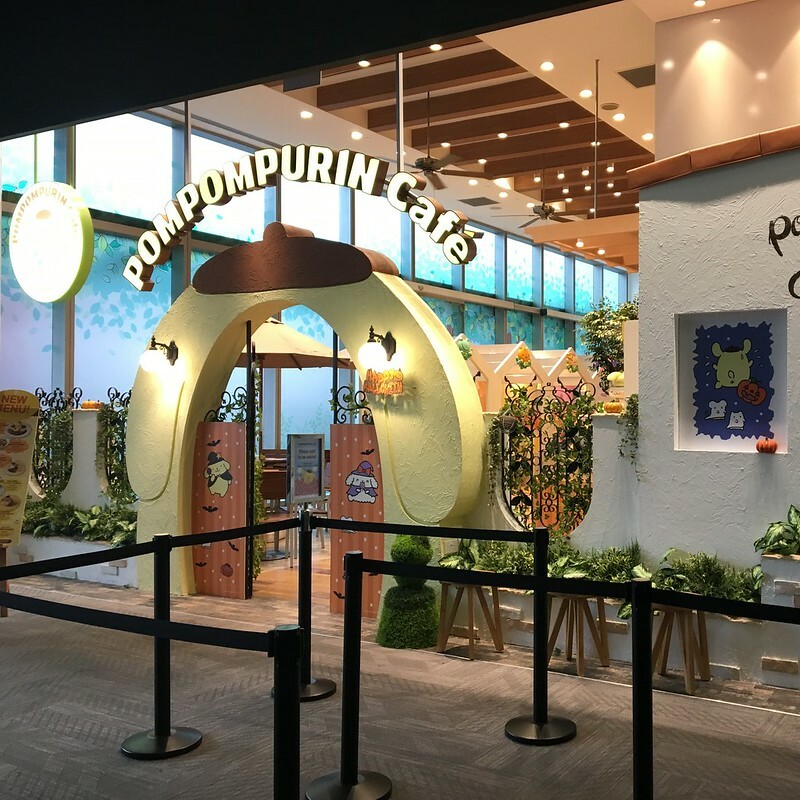 Tucked away on one of the upper floors of Orchard Central is the sweet and fluffy Pompompurin Cafe Singapore, which opened in 2016 with much less fanfare than its sister cafe at Changi Aiport or that other theme cafe that opened in Bugis. However it’s still guaranteed to delight as a quieter alternative for Sanrio fans who are not quite willing to trek all the way to the airport for a meal, or those who prefer better food than cold curry rice and soggy fries. 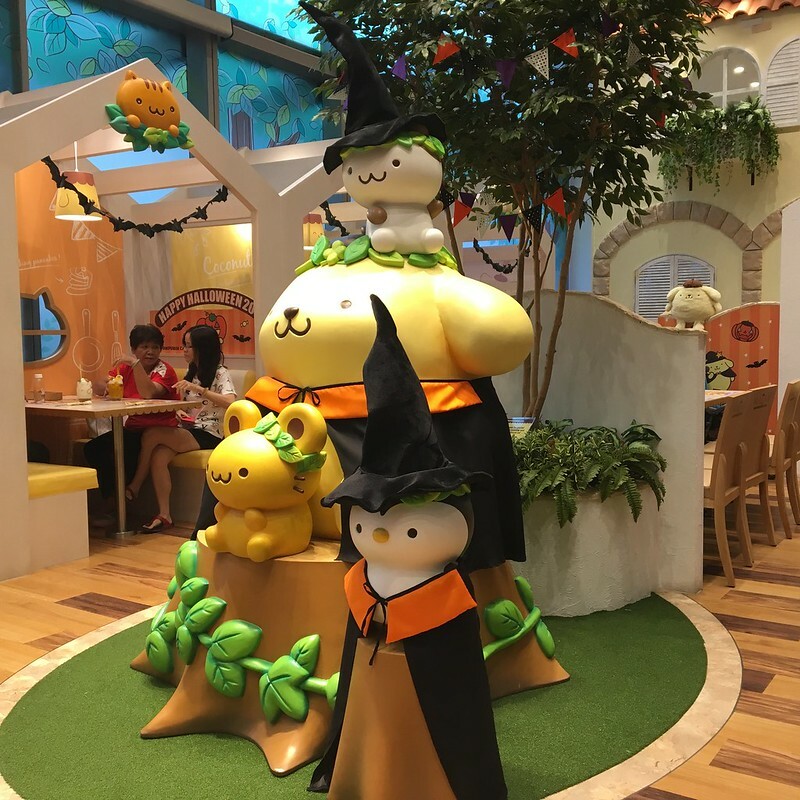 We visited the cafe during its Halloween event, and everything from the food to the decorations were decked out in their autumn best. Coming on a weekday is highly recommended, as the queues are virtually nonexistent and the cafe is far less crowded. It was also raining on the day we went, so the warmth and coziness of the cafe was appreciated even more. 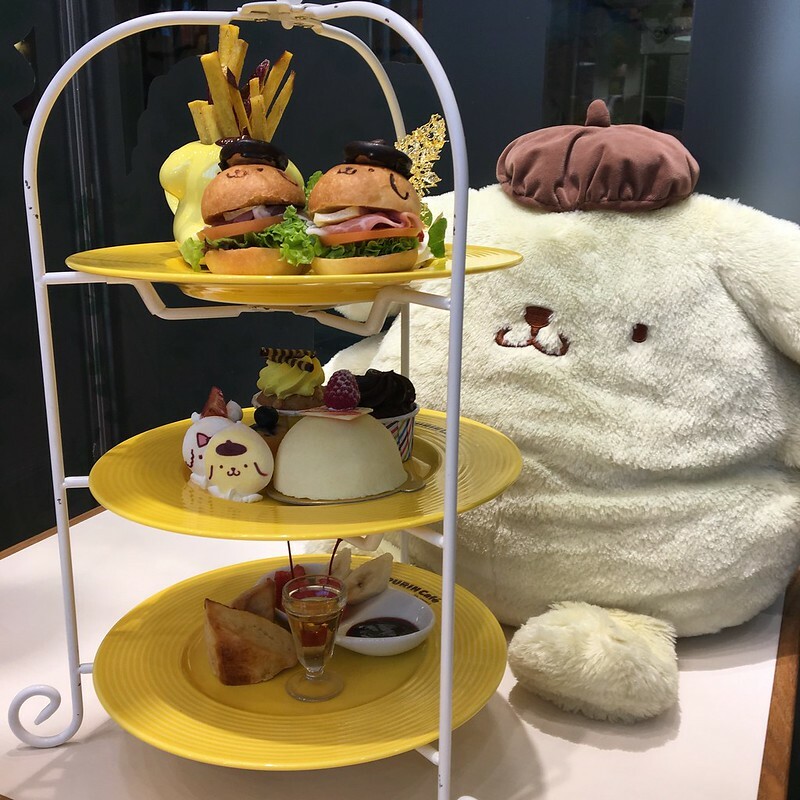 Although the food was slightly on the expensive side (think afternoon tea a a nice hotel), the quality was much better than Pokemon Cafe (yeah okay, so we never quite got over how bad the food was there) so it’s not a big deal and we consider it money well spent. 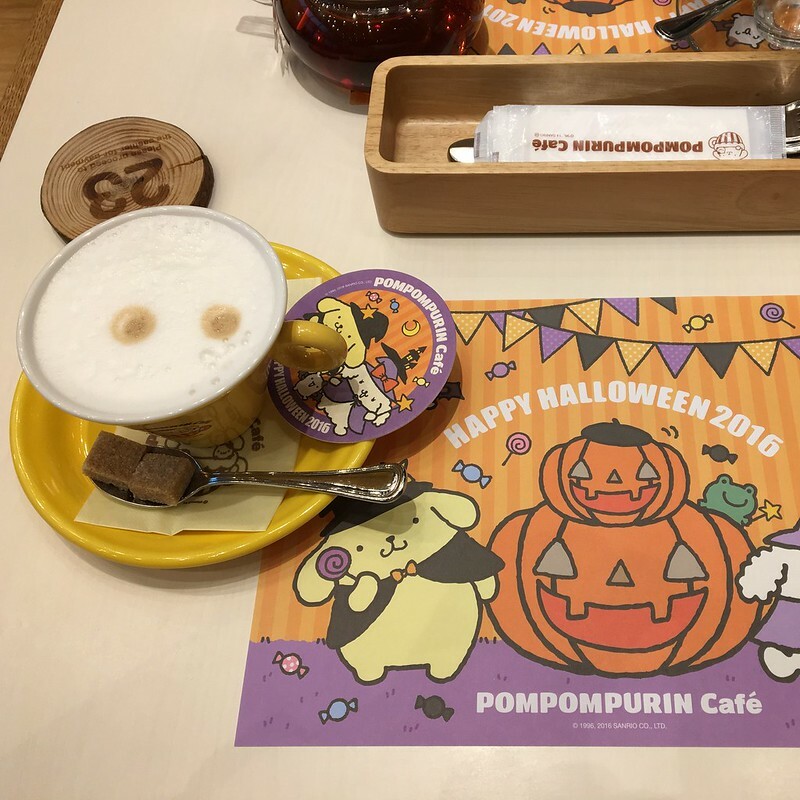 Overall, we had a nice and relaxing time at Pompompurin Cafe Singapore. It’s a lovely way to whie away a rainy afternoon, and its cheerful characters and bright interiors will chase the blues away. We may be stopping by again soon — see you guys there!